1. Dr RUSSEL NORMAN to the Minister for Social Development: Will she set specific targets for reducing child poverty; if so, what child poverty measures will she use? 2. DAVID BENNETT to the Minister of Finance: What progress has the Government made with its economic programme in 2013? 3. Hon DAVID PARKER to the Minister of Finance: How has the Government’s asset sale programme increased the confidence of “mum and dad investors” in capital markets and improved the standard of living for New Zealanders? 4. Dr JIAN YANG to the Minister for Economic Development: What reports has he received on progress in the manufacturing sector? 5. 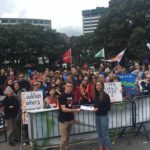 JACINDA ARDERN to the Minister for Social Development: Does she stand by her statement that “I do not think that anyone denies that there are children living in this country at a standard that we do not find acceptable”; if so, what specific targets, if any, will she set in light of the Child Poverty Monitor released on Monday? 6. 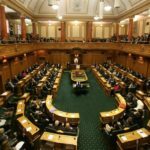 Rt Hon WINSTON PETERS to the Associate Minister of Māori Affairs: Does he stand by all of his statements? 7. PAUL FOSTER-BELL to the Associate Minister of Health: What recent announcements has he received regarding newly listed medicines? 8. 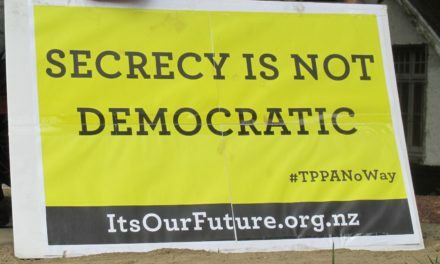 JULIE ANNE GENTER to the Minister of Trade: Will he release the final text of the Trans-Pacific Partnership Agreement before it is approved by the Cabinet; if not, why not? 9. TE URUROA FLAVELL to the Deputy Prime Minister: Does he agree with the Children’s Commissioner that “Setting targets, like we do with the road toll and with NCEA, if we had that kind of commitment, that legislation and plan, then we’d see a year-on-year fall”; if so, is he prepared to instruct the Ministerial Committee on Poverty to introduce the four child poverty measures released in the Child Poverty Monitor? 10. Hon ANNETTE KING to the Minister of Health: What recent reports has he received on the affordability of health care for New Zealanders? 11. 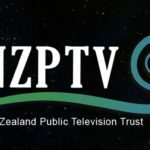 CLAUDETTE HAUITI to the Minister for the Environment: What recent reports has she received on the progress of the TV Takeback scheme? 12. PHIL TWYFORD to the Minister of Housing: Does he believe he is doing a good job of tackling housing demand for those most in need?